Stanley Kauffmann is on temporary leave. This review was written by David Thomson. “Very well, in 2011, with the movies on life support, what should an ambitious American motion picture look and feel like? What should it do to us? And what do we require of this strange medium? Can we cling to it or must we let it go, along with the unstoppable history that has already done away with silent pictures, black and white, Technicolor, and—nearly—photography?” In sum: do movies matter? The omens of large turning points are in the air. This is only the fifth film made by Malick in a directing career that began with Badlands in 1973, one of the most arresting debuts in the history of American film. And The Tree of Life is reluctant to let a moment pass without exposing us to a luminous wonder onscreen—as if beauty were going to be sufficient in a medium that is helplessly attached to sequence or narrative. But don’t jump to the conclusion that this is art for art’s sake. The Tree of Life has two of the most prominent actors in American film—Brad Pitt and Sean Penn. Why are they there? Because such actors long to work for Malick, and also because he must know that their names help to carry his very loose ventures. Pitt is clearly playing “a part,” but Penn ... well, we’ll get to Penn in a moment. The next thing to be said is that after a mixed opening at Cannes (boos and applause), the jury (led by Robert De Niro, who has never worked with Malick) awarded the Palme d’Or, their top prize, to the film. That was a statement of hope as much as faith, and a gesture toward answering the questions I posed earlier. The prize says, yes, this is what we think a great American film should be in 2011. French institutions, from Cahiers du Cinéma to the Cannes jury, have often felt they understood the history of American film better than Americans do. In all of this, Malick himself provokes and provides. He did not appear formally at Cannes to receive the prize or to explain his picture. That is his habit, and the source of the myth that he is “reclusive.” In truth, he is an intelligent, amiable man who merely declines to be a public figure. But in the din of hype around the movies, he cannot lose the semi-religious authority that his separation has brought him. So for decades the film world has been waiting for Malick to be its prophet. In life, he might try to shrug that off, but in his work, his art, his movie, that mantle now enwraps him the way oxygen does the Earth, the way inspirational music hovers over The Tree of Life like a flock of hummingbirds. It’s not that this film might be great; it’s that it seeks Greatness, so often a misleading goal. Let me try to describe what happens in The Tree of Life. We are in a suburban town near Waco, Texas, in the 1950s—the era and the site of Malick’s own childhood. Less than a framework of story, we have a situation, and this is itself not just fair, but an enlightening novelty. Most of us do not feel that we are living stories (at least not until later); we believe we are getting on with a situation. So Brad Pitt is Dad: a diligent civil engineer, a decent and blunt man, a disciplinarian with feelings, doing his best to raise three sons. Jessica Chastain is his wife and homemaker. She is quiet, tender, close to beautiful, and hers is the voice that murmurs embracing phrases of religion or philosophy on the sound track. As time passes, and the boys grow more unruly (though they do not appear to age), the mother becomes pained at the father’s severity. Then Dad loses his job and the family moves away. It may be that this evocation of growing up—ordinary, dull, momentous, shaping—has never been done better in an American movie. To that end, we should praise the production design by Jack Fisk and the soft-colored cinematography by Emmanuel Lubezki. But those assets are at the service of a loving and utterly trustworthy observation by Malick himself. There are so many moments in this film when the details of expression and body language will haunt any parent and leave those without children wistful. This is art of a high order that justifies the aspirations in the title. But the film would be sparse or unendurable without the boys—all Texas kids who had not acted before. They are Tye Sheridan, Laramie Eppler, and Hunter McCracken, and they are the film’s gift to us, and to itself. And McCracken, who plays Jack, the oldest boy and the central presence in the movie, is archetypal—he is Cal from East of Eden, he is the bad seed, he is a future president and Huck Finn. He might be Gary Gilmore. You have to see the film if only for this kid. He is also—I think—the boy who grows up to be Sean Penn. The exquisite, casual naturalism of the childhood scenes yields, after about half an hour, to an excursion as profound, and as challenging, as some great disordered outpouring in a Mahler symphony. The point of view lifts up to a level of astronomy, miracle, and spiritual reference. We see footage of lava, of the depths of oceans, of cloudscapes moving, of the Earth being born—it is amazing National Geographic stuff, astonishingly beautiful. (But how do you make oceans, deserts, and sky anything else?) There are dinosaurs drinking at a lake and hopping around (with rather less agility than their kin showed in Jurassic Park). They have the mean, impassive faces we expect in movie-made dinosaurs. They don’t know what they’re doing in the film. Neither do we. Cut to Sean Penn, who is found in Houston and its towering steel-and-glass buildings. He has something to do with architecture. He has a woman, and they seem to be at an Antonioni-like distance of dismay or worse, together but unable to look at each other. This Jack looks so depressed you want to reach out to Penn with medication, not least because the actor has nothing to do except look wretched, stone-faced, and dinosaur-like. Some viewers have suggested that this Jack is close to suicide, that he despairs of the natural world buried by Houston’s modernity. Others say, no, that’s just how you feel looking at Penn’s face when, perhaps, he worries that he should still be in Haiti helping the earthquake’s survivors instead of contributing toward this hollow and ad-pretty estimate of All Our Present Troubles. The two worlds of the film do not marry. Jack has been raised in Waco with ordinary care and affection—there is no dramatic reason provided for Penn’s depression or dismay. Malick may insist that this is the point: ordinary American life has turned sour. But alas, we knew that already, before the tsunami of beauty, reverence, and implication that Malick here conjures. In narrative media, moreover, those things need to be connected. The Tree of Life struggles toward a conclusion in which God, Love, and Faith are meant to sustain us. The film is crammed with capital-letter topics. But we are not moved, and I have no inkling that Malick himself actually believes in the spiritual confidence that he is claiming. Brilliance and beauty are not enough without feeling, and here is the moment to say that in his awesome and unique career Malick has had persistent difficulty doing feeling—except as the natural and artless vitality in children or immaturity. So the liveliness and the wonder of this film, when we are watching those amazing boys, is an extension of how the wan face and monotonous voice of the young Sissy Spacek placed Badlands in our minds. Similarly, in Days of Heaven, where beauty was spreading like acne, the voice of the girl played by Linda Manz—flat, unaware, but revealing—was the true melodic line of the film. 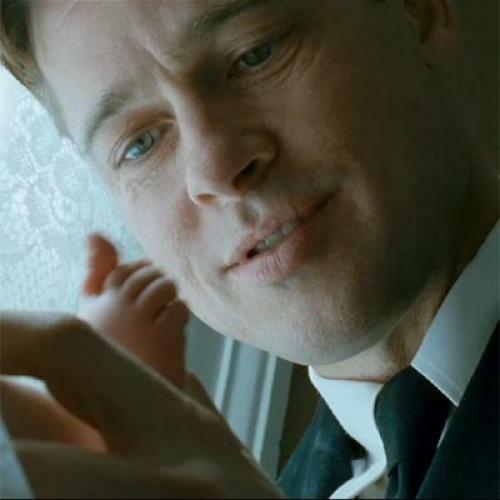 And The Tree of Life is masterly and affecting when it examines the faces and the feelings of its children. I honor Malick’s urge to make films about “the whole thing,” if only because movies’ narrative structures have grown so incessant and repetitive that they are now fossilized and camp. There are other American pictures that have sought to embed many situations in a panorama— say, Altman’s Short Cuts or Paul Thomas Anderson’s Magnolia. But those circuses require great, hidden control and immense powers of writing. And those are things that Malick shies away from. His most panoramic film is The Thin Red Line, his version of James Jones’s Guadalcanal novel, in which a package of star actors did small turns in a reverie on a dire, damaging war nearly overwhelmed by the vivid wilderness of its setting. In a way, that is what’s going on here, too: Malick is drawn to the conclusion that the world is so lovely and energetic that local disasters do not matter. But just as he is shy of delivering narrative or drama, so there are signs of chronic indecision, too. This film is now 138 minutes. It once was four hours. In a cast list offered just before the film opened, Jack’s “ex-wife” figured as well as the woman of the Antonioni tableaux. She is not there now. So it may be that there was once far more in the narrative—an attempt at least to put the two Jacks in emotional alignment. For now they merely gaze at one another, helpless and detached. Indecision is as natural in making art as it is in life. (Don’t be surprised if a longer director’s cut comes along one day.) But indecision affects what goes in more than what is left out. Malick has tried to do everything here. The shade cast by The Tree of Life has a looming yet vague universality. I fear that it will mystify large audiences and leave a greater gap between popular cinema and the art house. Malick has become more and more of a cameraman—not simply because of his strengths, but also to hide his weaknesses. This film needed a firm producer and an arguing writer. Malick has been granted the freedom Stanley Kubrick once achieved. So a few filmgoers will say this is as awesome as 2001—or as bad. David Thomson is the author of The New Biographical Dictionary of Film and The Moment of Psycho: How Alfred Hitchcock Taught America to Love Murder. This article originally ran in the June 30, 2011, issue of the magazine.